As diesel engines have evolved, and vehicle emissions have been monitored heavily, manufacturers have been employing more and more emissions control devices, to better protect the environment and reduce the unsightly ‘black clouds’ that are renowned with older diesel vehicles. 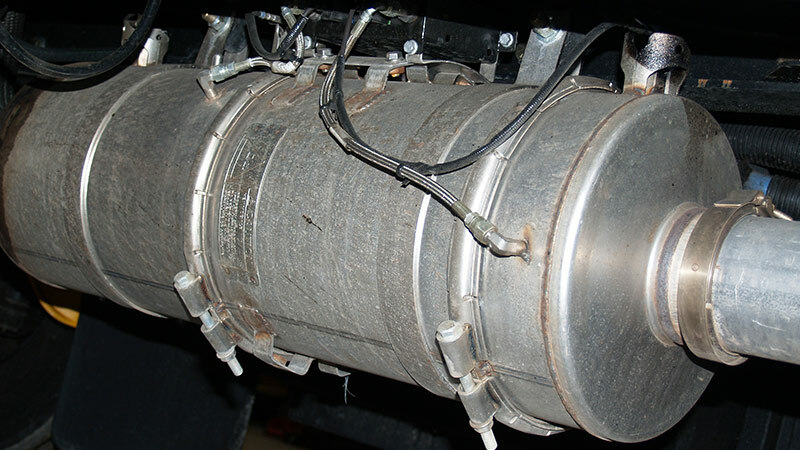 First fitted to diesel vehicles from 2007, the DPF has been causing confusion and, in many cases, expensive repair bills for drivers, due to lack of knowledge about the system. The engine control unit (ECU) monitors the saturation level inside the filter, and when it reaches a certain percentage, increases the temperature inside the exhaust to ‘burn off’ the particles. The procedure for your vehicle’s DPF regeneration process, as well as all the information on the system, will be located in your owner’s handbook. Passive regeneration takes place automatically, with no warning lights coming up on the dashboard. It mainly occurs on highways, when the vehicle speed and exhaust temperature is high. Depending on how the vehicle is used however, this may not be possible. Stop-start driving, or around town trips will not allow the exhaust to get up to temperature to carry out this regeneration. Once the ECU reads the soot loading has reached a certain limit (usually around 45%), it will instigate what is known as post combustion fuel injection. This procedure injects a small amount of fuel into the engine after the main combustion cycle, to increase the temperature in the exhaust and trigger the regeneration process. The ECU will usually flash the DPF light on the dashboard to alert the driver that the regeneration process is in progress. Depending on your vehicle, you will need to keep your vehicle over a certain speed and engine RPM until the light has stopped flashing. The procedure should be covered in your owner’s handbook, but a round guide is to keep the engine speed over 2,000RPM and the vehicle speed over 60km/h. Depending on the saturation level, this process may take anywhere from 5 minutes up to 25 minutes. You may notice increased fuel consumption, the cooling fans running constantly and a slight acrid smell from the vehicle during this period. This is normal, as the exhaust temperature reaches over 600 degrees to burn off the particles. If the process is interrupted and the regeneration cannot be completed, the ECU will activate ‘Reduced Power Mode’ or ‘Limp Home’ mode. This will limit power to prevent any damage to the engine or exhaust systems. The DPF and Engine warning lights will both come on when the vehicle enters this mode. If the DPF and Engine warning lights come on, the final regeneration will need to be completed. This is known as a forced regeneration. The vehicle will need to be driven carefully or towed down to a manufacturer dealership to have the DPF manually regenerated. This process is carried out by connecting a diagnostic scan tool to the vehicle and forcing the vehicle to carry out a regeneration. This can be a costly exercise as the oil and oil filter will require changing after the service has been completed. This is due to the extra fuel that is added after the combustion cycle, as some of it works its way into the sump, and dilutes the oil. Depending on how blocked the DPF is, it may be the case that these regeneration procedures cannot clean the DPF completely. The only way to carry out complete removal of particles is to remove the filter from the car and have it professionally cleaned, or replace the filter altogether. This is an extremely expensive exercise, as replacement DPF units can cost many thousands of dollars!! Some manufacturers have special additive systems to supplement the DPF system. These usually include injecting a small amount of liquid – usually Cerium Oxide – to the fuel mixture, to allow regeneration to occur at lower temperatures. This additive is usually located in a separate tank next to the fuel tank and is usually topped up during logbook service operations. If your vehicle is not fitted with this system, there are many aftermarket fuel treatments you can purchase and add to your fuel tank to carry out the desired effect. Always check with your vehicle manufacturer before using these products, as some may not be compatible with your vehicle. When purchasing a diesel vehicle, it is important to check and see if it is fitted with a Diesel Particulate Filter, and whether your driving style will allow the system to be used to its full potential, or cause you headaches and expensive repairs in the long run. Right. AutoGuru lets you search, compare and book from over 1,600 qualified mechanics across Australia. Boom!